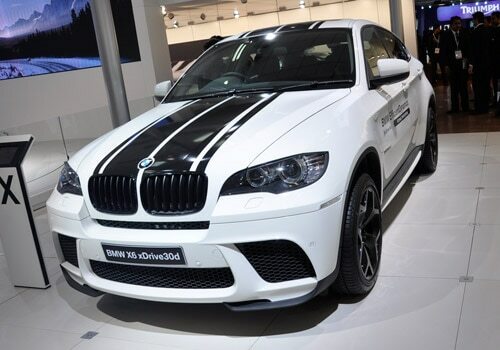 BMW group India has finally launched the much talked facelift version of BMW X6 in India with price starting at Rs. 78.90 lakh. It is one of the most anticipated SUVs of the year that caught the attention of many at the New York Motor show held earlier this year. It is a premium SUV vehicle with a DNA of a coupe and premium Luxury car and it is coming in as two variants xDrive40d (diesel) and xDrive50i (petrol). 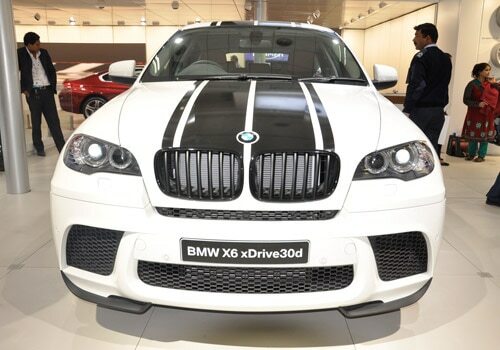 Now, the BMW X6 launched at the event held in Faridabad, New Delhi, where the company has started a new showroom. This car has got some of the interesting luxury features that return complete value for your money. This facelift version has somewhat failed to live up to the expectation of buyers in terms of the appearance. However, the major modification includes the all new spoke model alloy wheels instead of regular alloy wheels that add the elegance to the vehicle. 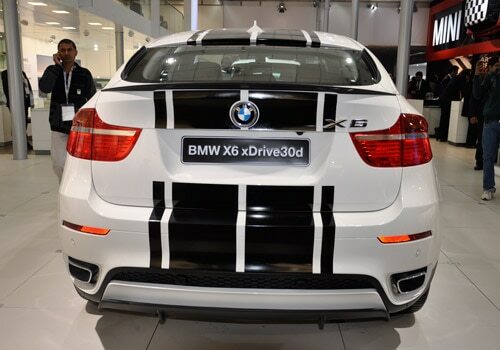 Now we shall discuss about the most important BMW X6 features and technical specification that explain that why the vehicle is so expensive. This vehicle is coming in as two variants, one with 8-cylinder petrol engine and other with 6-cylinder, 4 valve diesel engine. The petrol variant has the displacement capacity of 4395cc that can make 407 Bhp of peak power whereas the diesel version is displaced at 2995cc that can generate a whooping 306 Bhp of maximum. Both these vehicles can make 600Nm of torque power, which simply amazing. When it comes to transmission, both the high and low end variants are mated with 8-speed manual transmission gearbox enhances the luxury of the car even in heavy traffic conditions. Now coming to the features of BMW X6 vehicles, they are incorporated with some of the common, standard and optional features that would help increase the luxury or to reduce the pricing of the vehicle. However, the common and standard features include the highly advanced DSC (dynamic stability control), ABS, and Hi-Fi music system with 16 speakers, BMW navigation, and Bluetooth connectivity for mobile connectivity, USB interface and many more. At present the newly launched BMW X6 facelift version is considered being one of the luxurious BMW cars available in the markets. All these things explain that the BMW X6 price is very reasonable considering all the features, specifications and the quality. The new BMW X6 prices starts at Rs. 78.90 lakh for the xDrive40d diesel version and it goes up to Rs. 93.40 lakh for the petrol version. However, disappointing thing about the BMW X6 pictures are that the vehicle has not got any major changes to its body, except to its alloy wheels and to its front view. Apart from this, this vehicle looks amazing. The Tata company has launched the all new Tata Safari Storme that comes with a stylish body design and attractive front view.